This is salad number 3 in the summer salad series. This one is a play on a classic Italian appetizer of prosciutto wrapped cantaloupe. 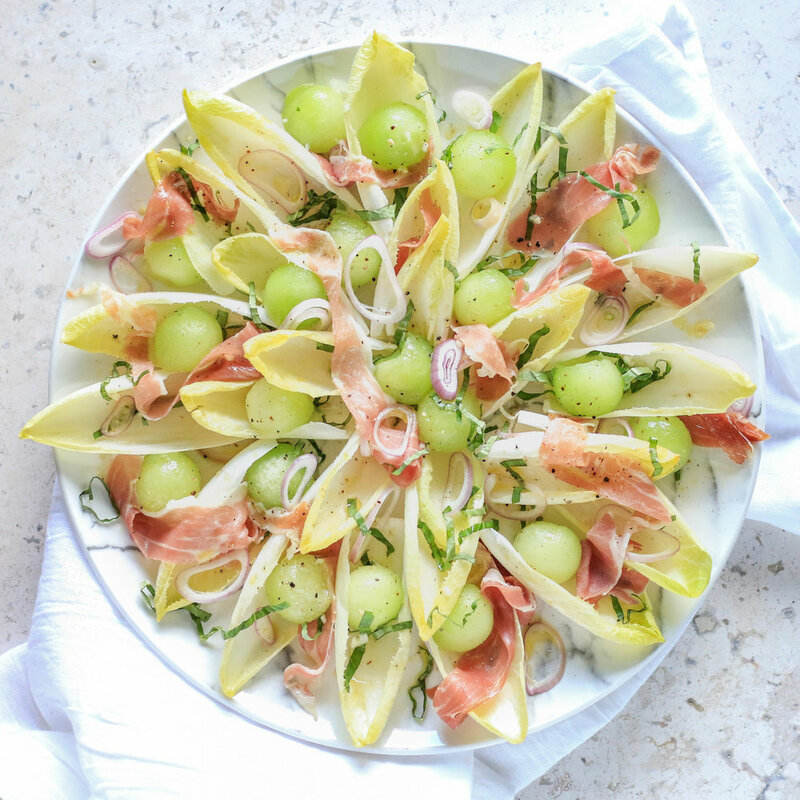 Endive was a great pairing for this salad because it’s bitterness is contrasted fantastically with the sweet melon. If you can’t find champagne vinegar at your local grocery store feel free to substitute white wine vinegar. In a medium sized bowl, whisk together all ingredients “for the dressing” and set aside. Carefully snap the endive leaves apart, wash and dry. 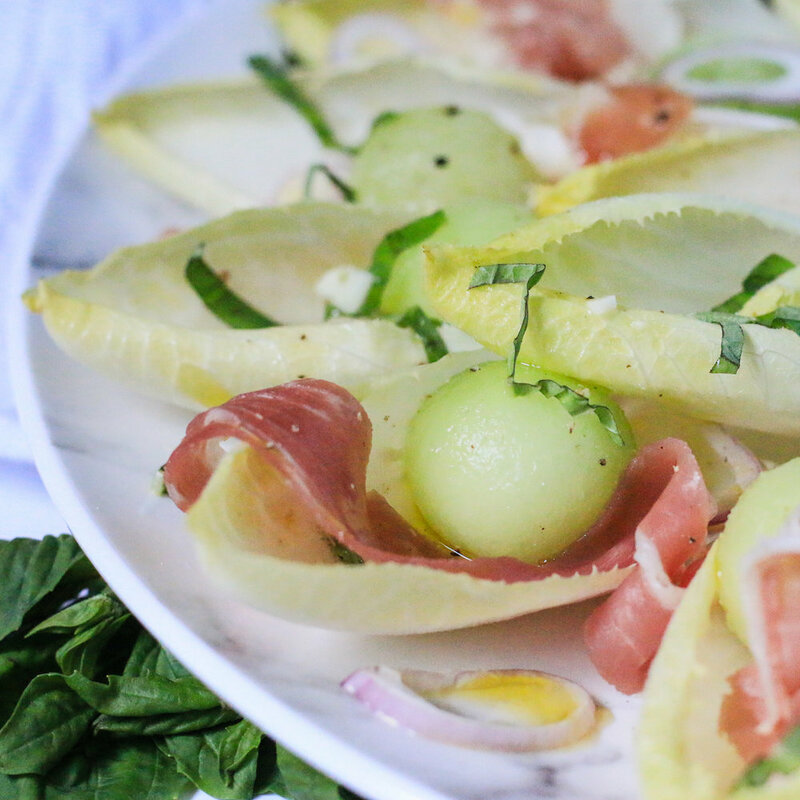 Place the endive leaves on a serving dish and arrange the melon, shallot, prosciutto and basil overtop. Drizzle with salad dressing and garnish with additional salt and pepper.